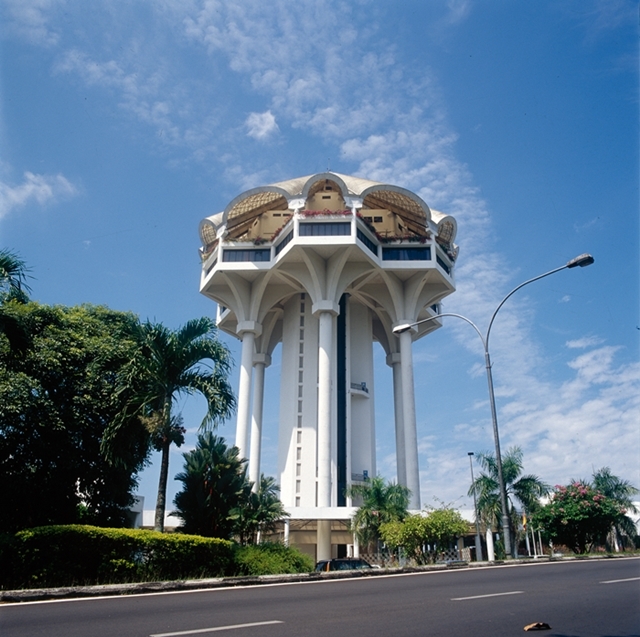 The futuristic umbrella-shaped Civic Centre tower offers a 360-degree panoramic view of Kuching and the surroundings. The city and its hinterland, Mount Serapi, Mount Santubong and even the mountains of Kalimantan are visible on a clear day. It also houses the now closed Sultan Iskandar Planetarium, with its white-domed structure that opened on 19 January 1989 and was the first planetarium in Malaysia.